The Independent National Electoral Commission on Thursday said that more than 80 million registered voters are expected to vote during the 2019 general elections. 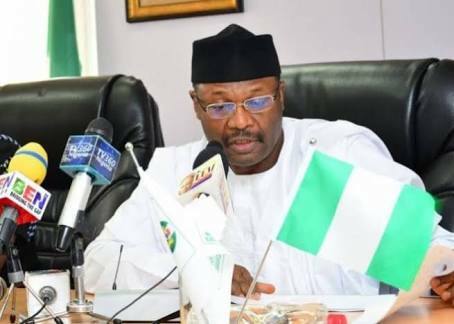 INEC Chairman, Prof. Mahmood Yakubu, disclosed this in a paper he presented at the 14th All Nigeria Editors Conference holding in Asaba, Delta State. Yakubu, represented by Mike Igini, Resident Electoral Commissioner, Akwa Ibom, said that the figure was made up of 67 million existing registered voters and 14 million newly registered voters. He confirmed that 91 political parties had been registered ahead of the 2019 elections, adding that there was a total of 120,000 polling units across the country. Meanwhile, the Senate on also Thursday approved N189,207,544,893.00. It said that the approved sum of money should be vired from both recurrent and capital component of special intervention programme captured in the service wide votes of the 2018 appropriation act. Following the approval the aggregate INEC budget for the 2018 appropriation will be N234,507,272,393.